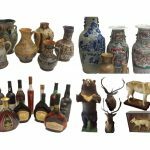 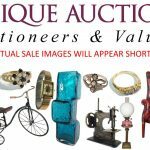 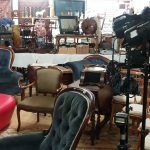 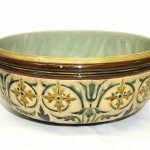 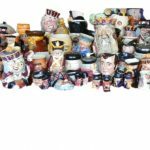 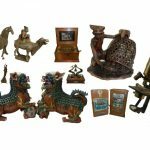 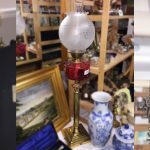 One of the best collections of Royal Doulton Lambeth, Antique Doulton and rare Doulton pieces to come to auction for many years. 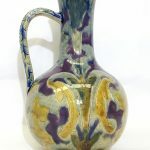 A Royal Doulton, England small vase. 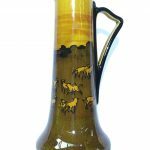 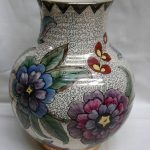 A Moorcroft bulbous vase hand painted by Irving. 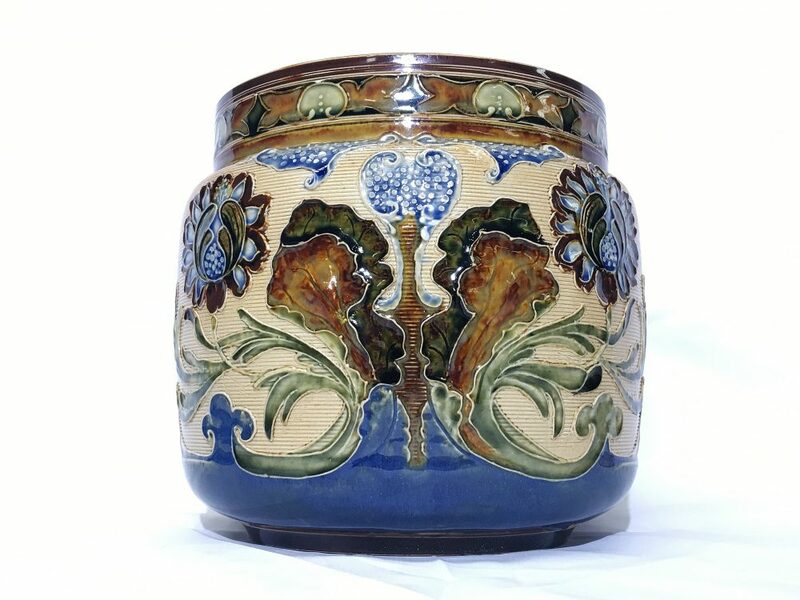 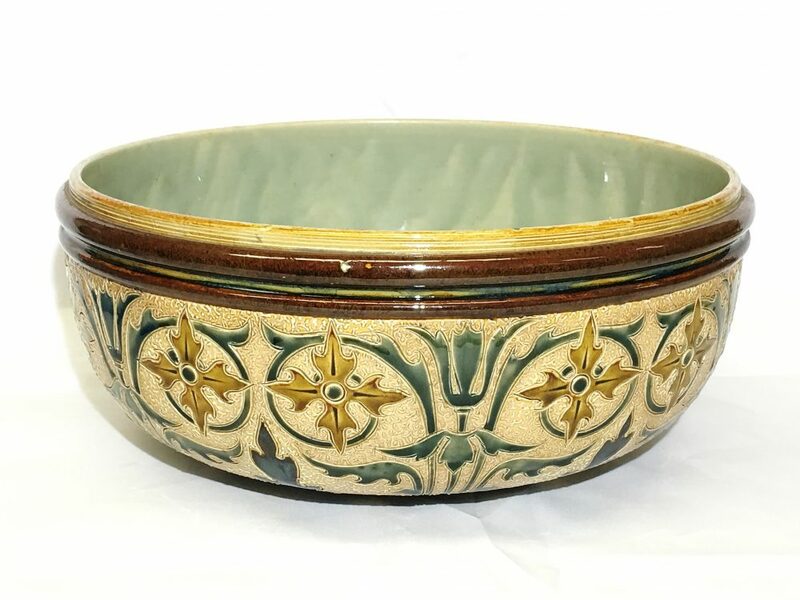 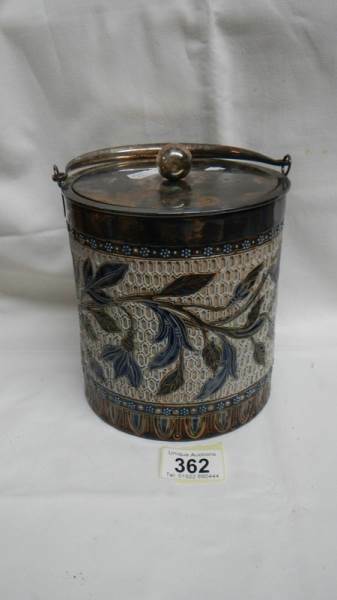 A Doulton Lambeth 1877 biscuit barrel by Louisa J Davis. 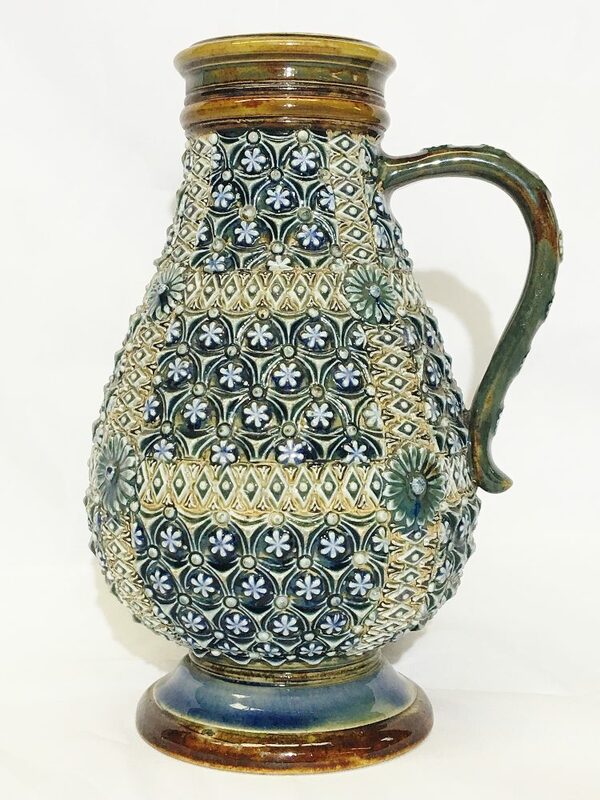 A Doulton Lambeth jug by Florence E Barlow, 1873. 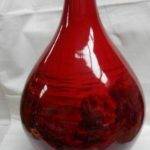 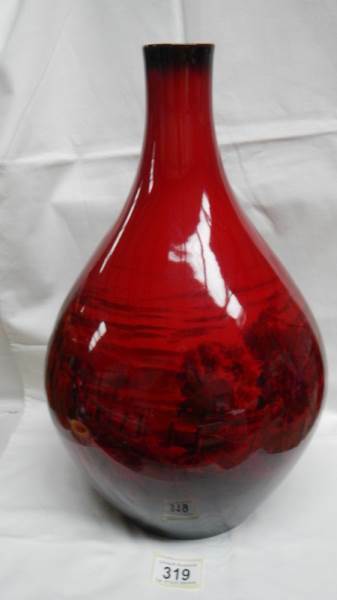 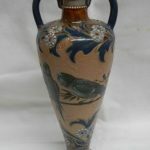 A Bulbous vase by Royal Doulton. 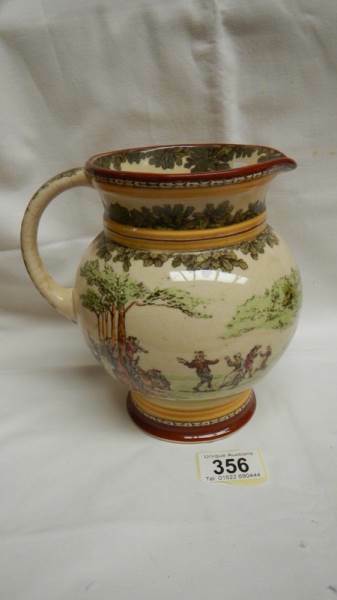 A Royal Doulton England jug. 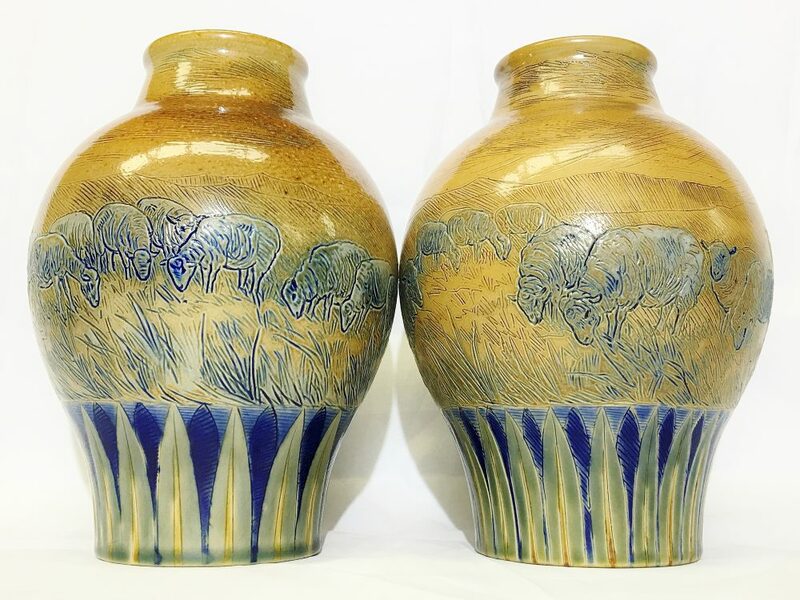 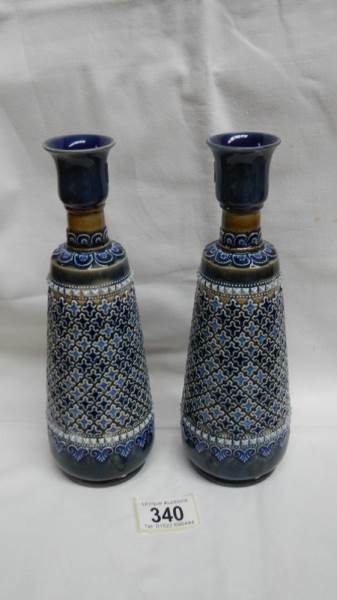 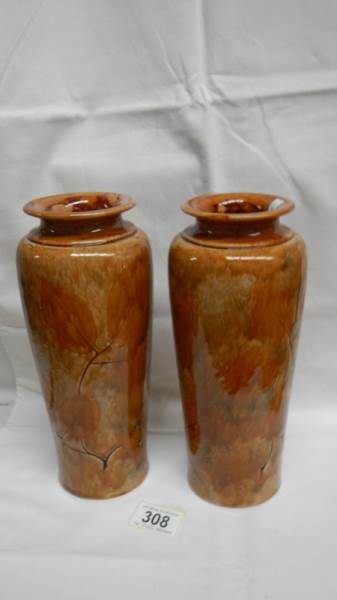 A pair of Royal Doulton vases, EB6943. 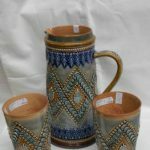 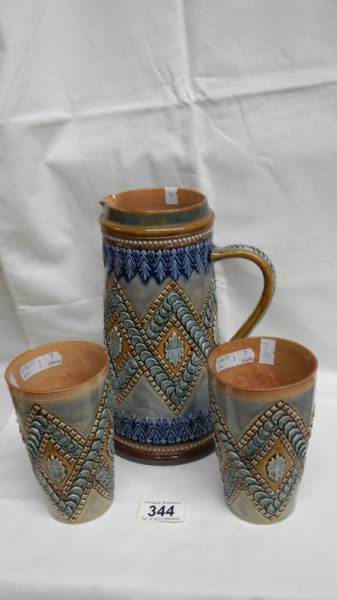 A Doulton Lambeth jug 1883 together with a complimenting pair of Doulton Lambeth 1883 beakers. 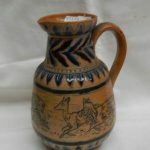 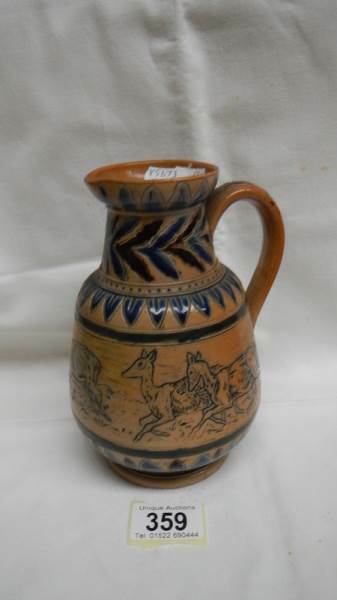 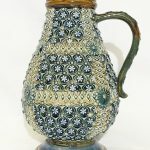 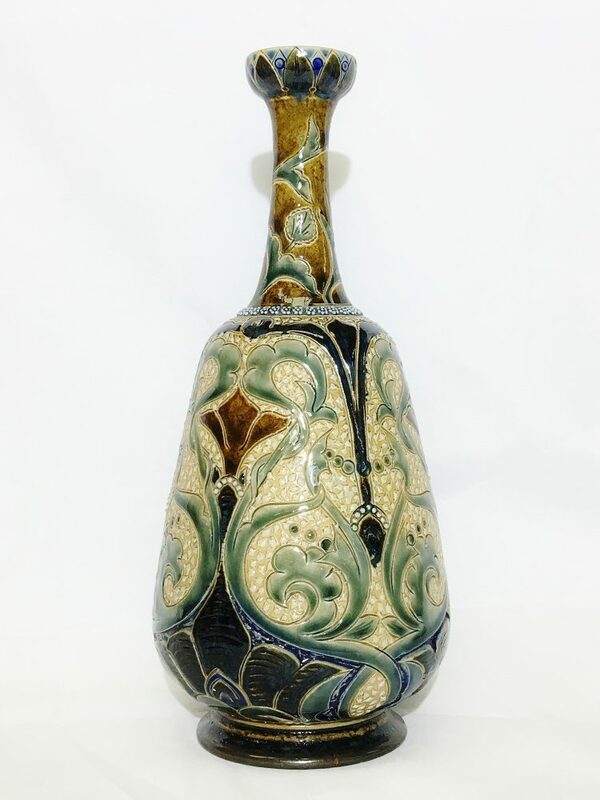 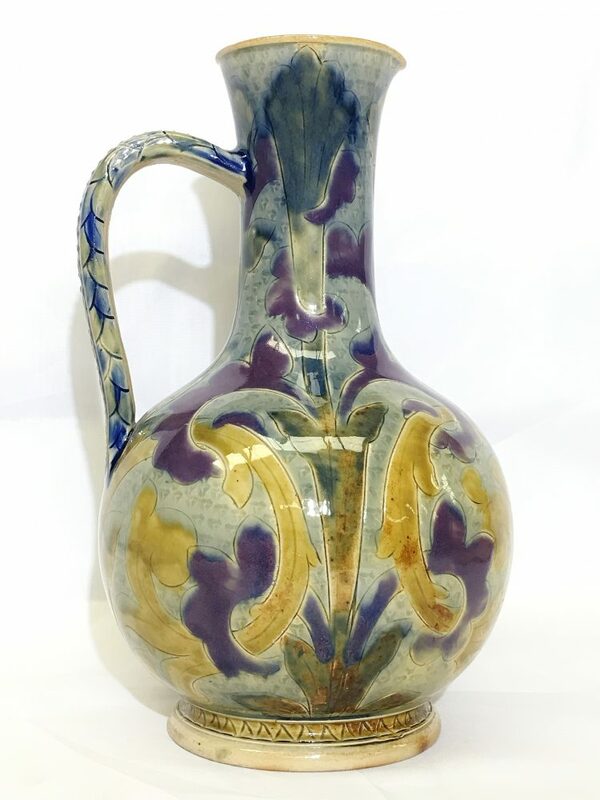 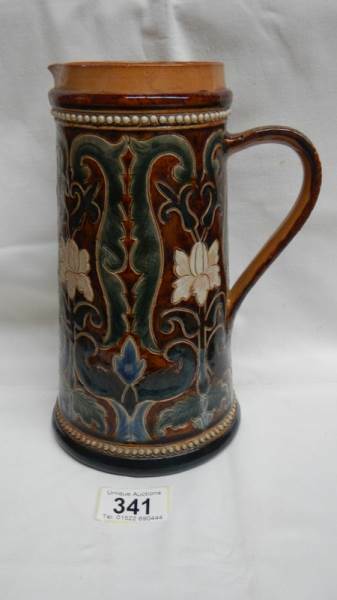 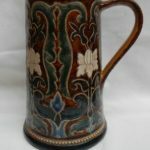 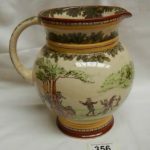 A Doulton Lambeth 1878 jug with stylised floral and leaves pattern. 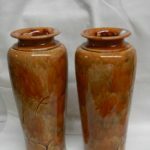 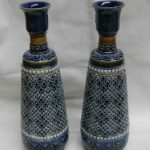 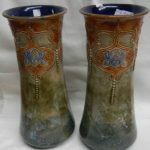 A pair of Doulton Lambeth 1878 vases. 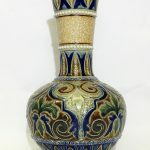 A Doulton Lambeth vase, 1883. 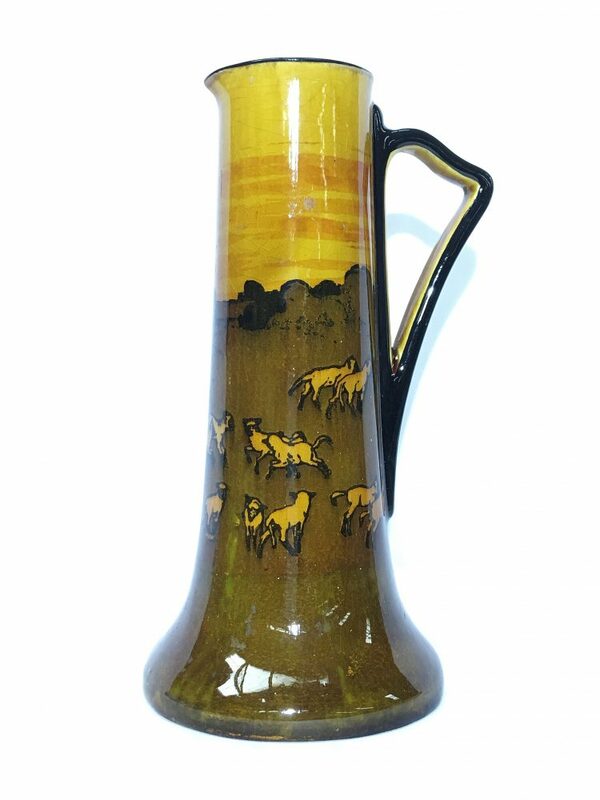 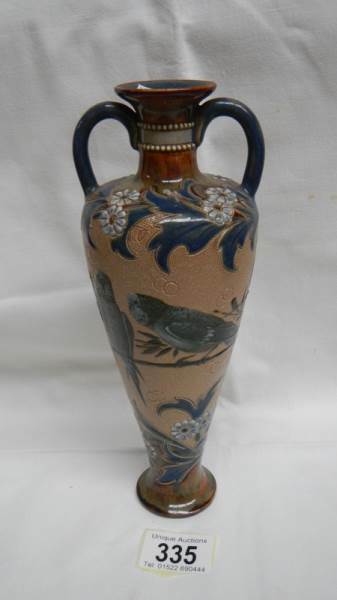 An exquisite Doulton Lambeth vase with narrow neck and 2 handles. 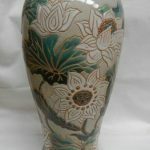 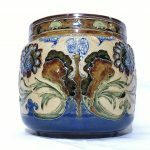 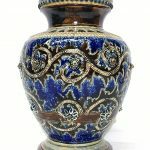 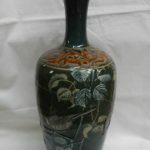 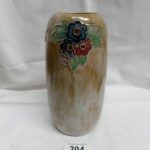 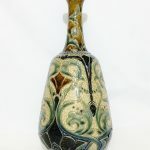 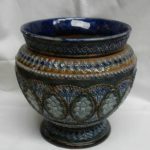 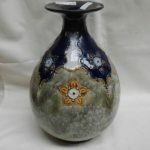 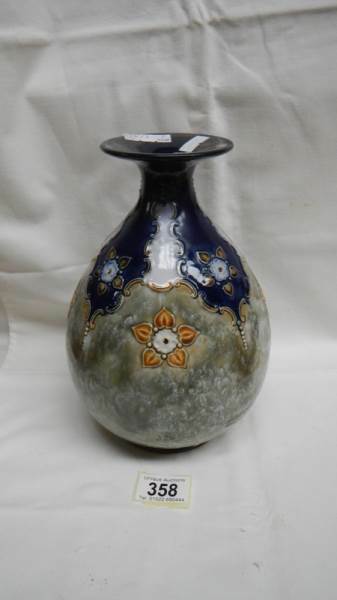 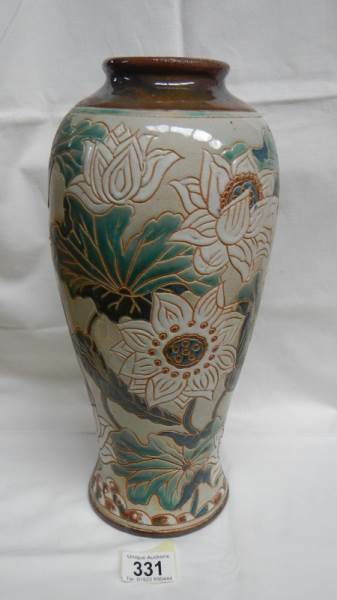 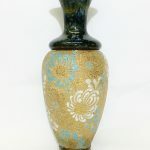 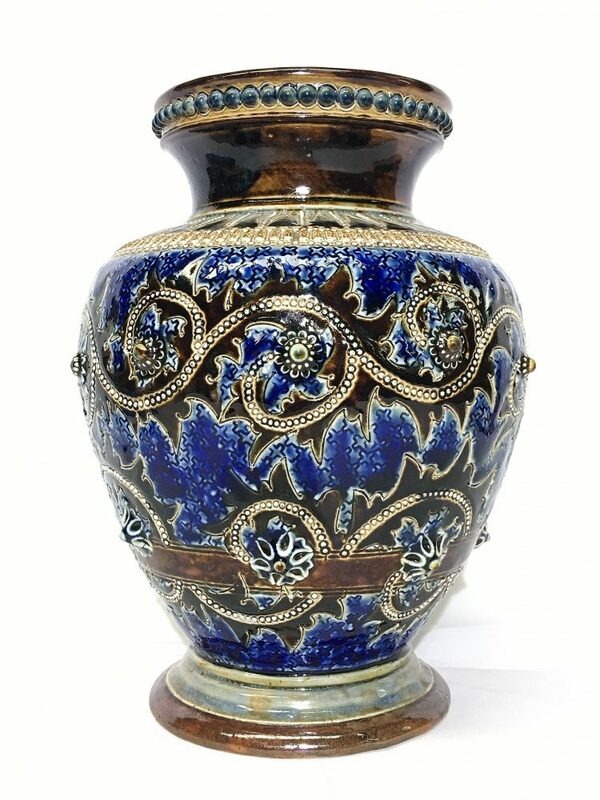 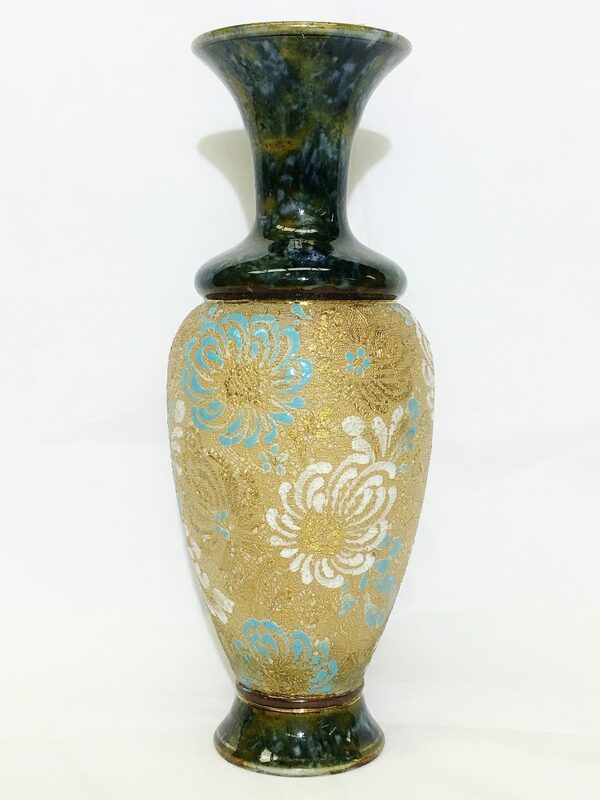 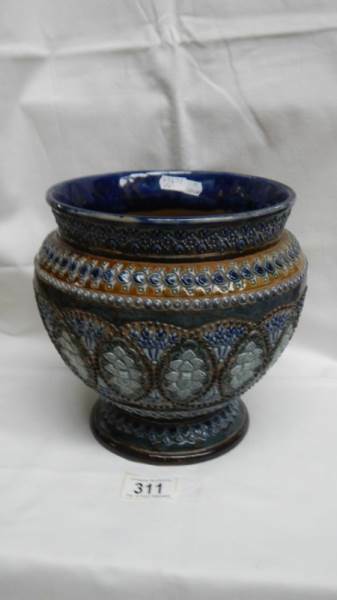 A large Doulton vase with large floral pattern. 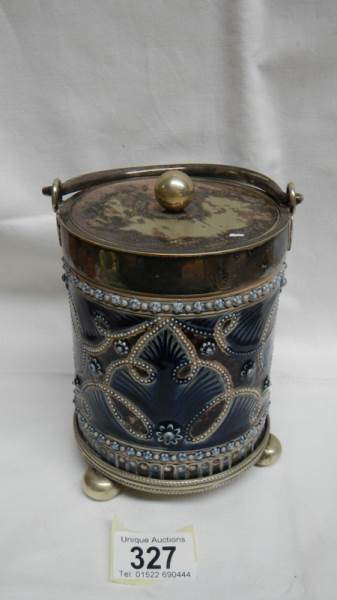 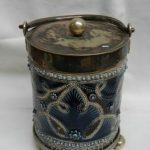 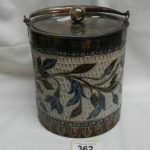 A Doulton Lambeth biscuit barrel with metal stand on three round feet and metal lid. 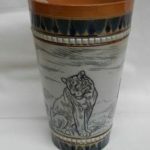 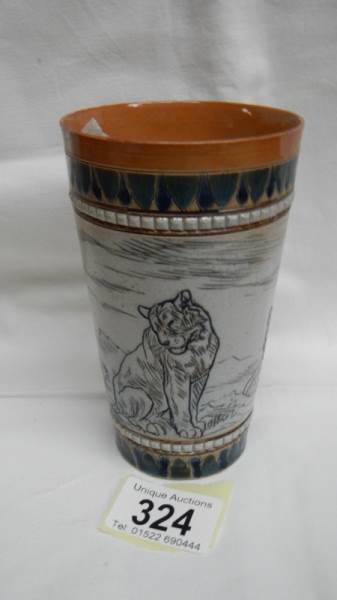 A Doulton Lambeth 1883 tumbler with 3 lionesses. 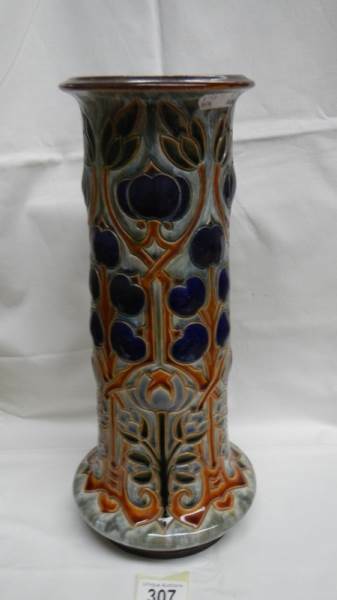 A large Royal Doulton Flambe’ statement piece, circa 1950. 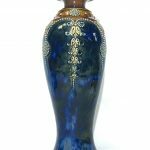 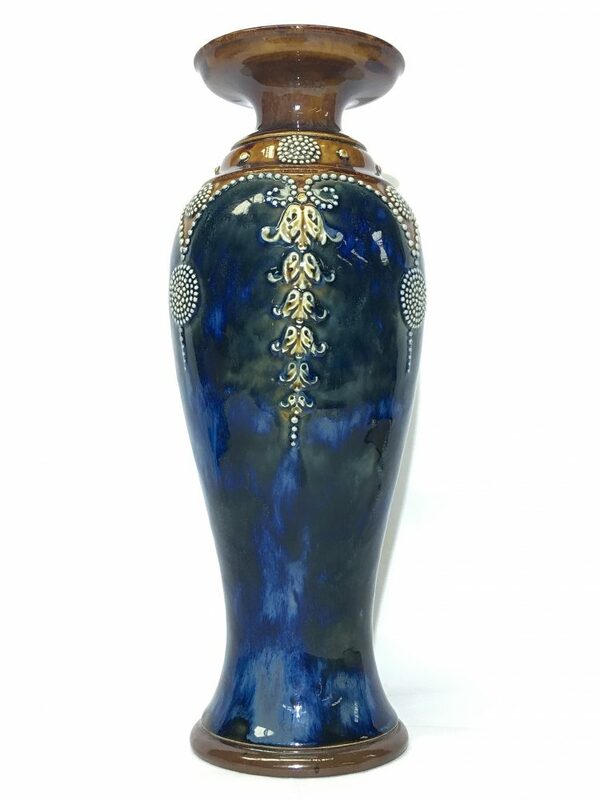 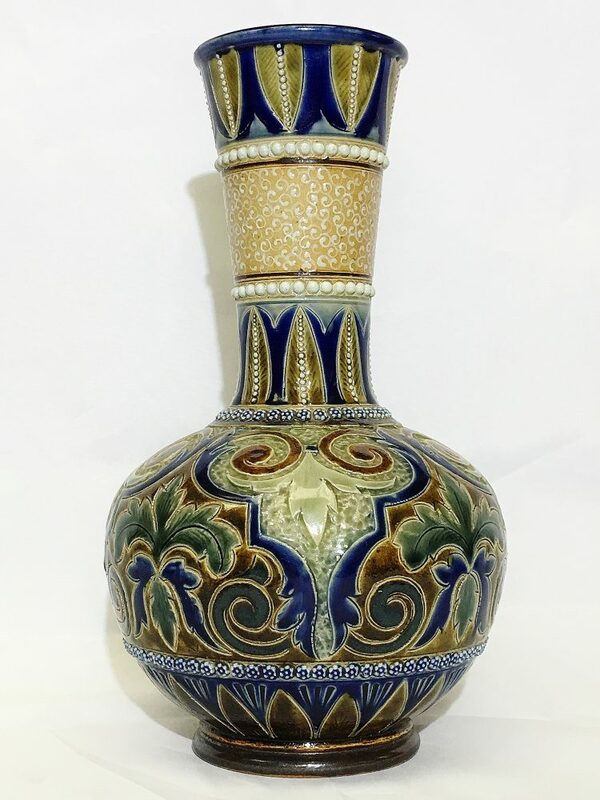 A heavily patterned Doulton Lambeth 1882 bulbous vase. 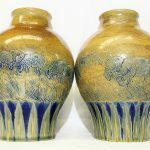 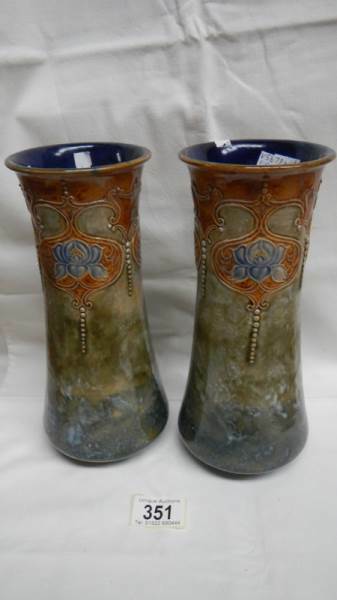 A pair of Royal Doulton leaf patterned vases. 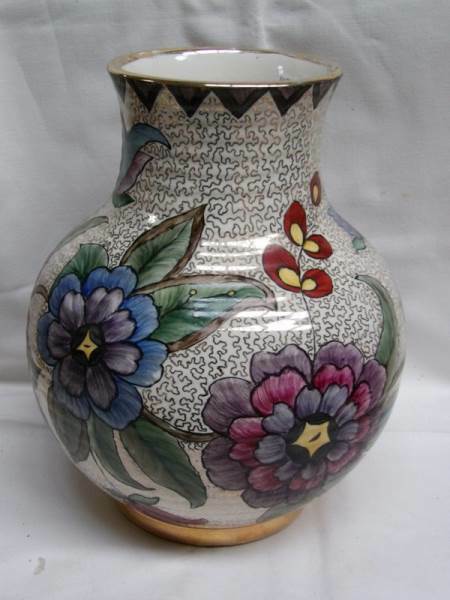 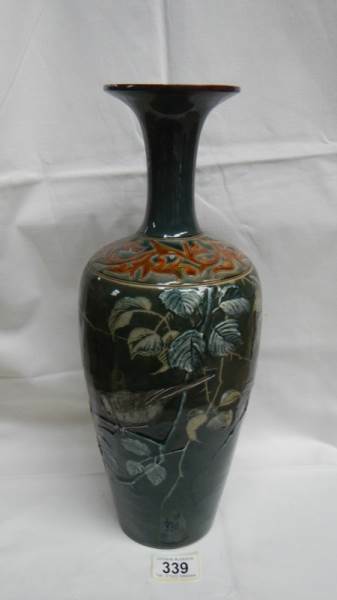 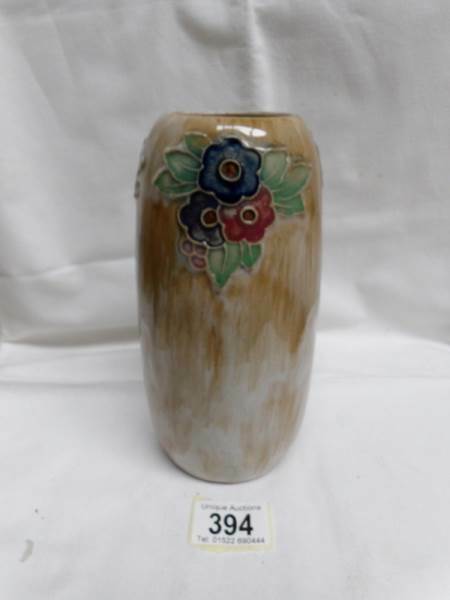 A large Royal Doulton vase with stylised flowers, stalks and leaves, signed by Arthur Barlow and Bessie Newberry. 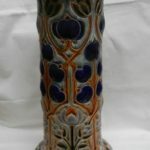 We are now accepting weapons and militaria etc for all future auctions. 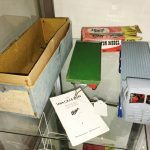 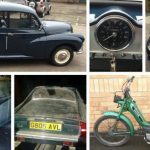 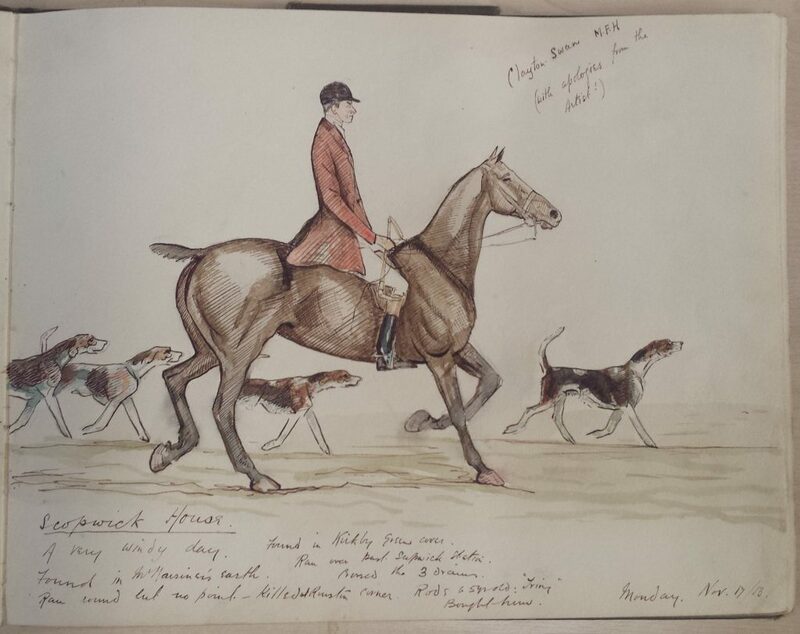 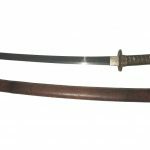 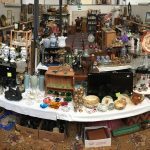 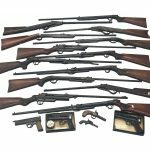 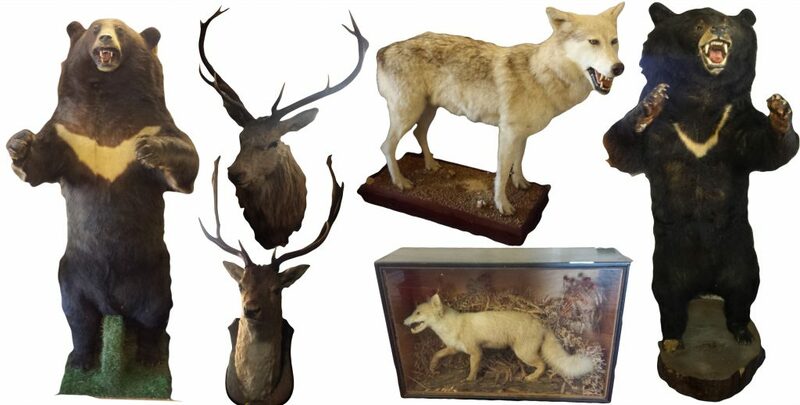 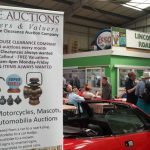 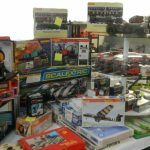 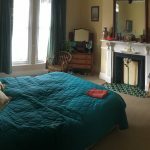 We also value weapons and militaria etc.